On the whole, this work is an exceedingly impressive one, even more than the author’s previous volumes on Smith and Ricardo. In this work the author faces a much greater challenge than he did in the others and he shows that he is very much up to it. The reviewer of these volumes faces a daunting task, not simply because of their immense size but also because they cannot adequately be considered in isolation. 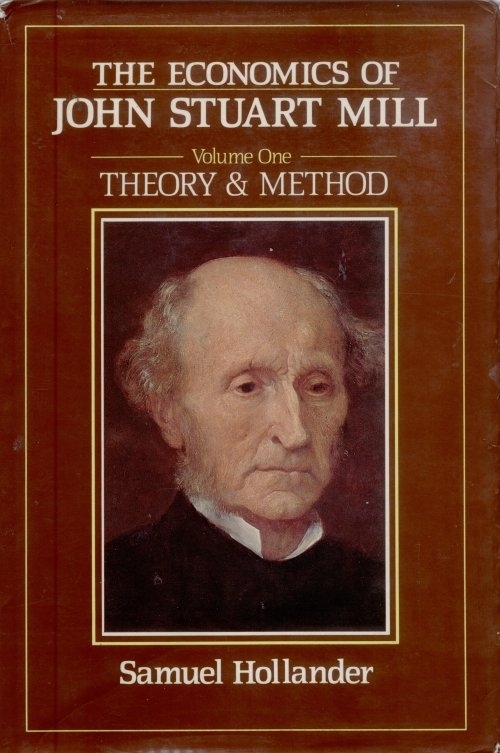 Together with Professor Hollander’s earlier studies … they constitute a sustained campaign to establish the validity of a singular unified interpretation of the central tradition of nineteenth-century British economic thought. Moreover, if Hollander’s main thesis is correct, it has direct implications for our understanding of orthodox (or mainstream) twentieth-century economics…. Hollander’s Mill is a work of extraordinary scholarly dedication, stamina, and depth…. It is … likely to exert its influence, whatever that may prove to be, only slowly, and initially within a limited circle of specialists. It is certainly not a study to be evaluated on the basis of or two careful readings: the familiar clich? that even a lengthy review is inadequate for the purpose is in this instance a serious understatement. Like the massively ambitious project of which it forms an integral part, Hollander’s Mill will leave a permanent imprint on the history of economics.